The health benefits of Frankincense Essential Oil can be attributed to its properties as an antiseptic, disinfectant, astringent, carminative, cicatrisant, cytophylactic, digestive, diuretic, emmenagogue, expectorant, sedative, tonic, uterine and vulnerary substance. Supports the immune system, (oral health~for a natural toothpaste mix baking soda, coconut oil, and Frankincense. Peppermint oil may be added as a natural mouthwash. Health benefits can be attributed to its properties as an antidepressant, antiphlogistic, antiseptic, aphrodisiac, astringent, cicatrisant, cytophylactic, deodorant, diuretic, febrifuge, fungicide, insecticide, sedative and tonic substance. 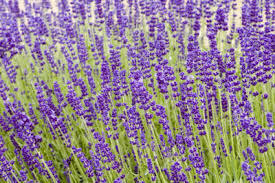 Some of the most important health benefits of lavender include its ability to relieve stress, improve mood, promote restful sleep, lower skin irritation, prevent infections, reduce inflammation, eliminate dandruff, and soothe stomach bloating. 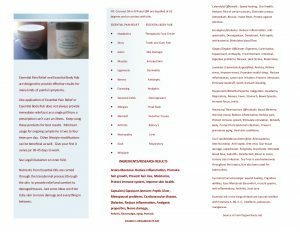 Essential Oil Blend – good for sinus congestion and stress relief.